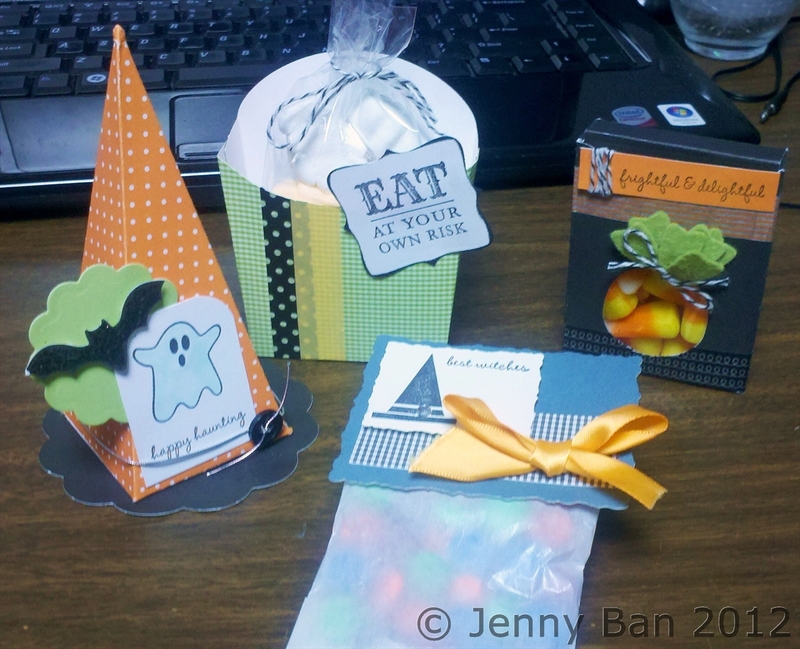 There are still a couple spots left in my Halloween Treat Class tomorrow, Oct. 9 at 7 p.m. in Buffalo Grove. $15 to make the four candy-filled projects you see here. It's not too late to join us! Contact me to save your spot.